Mindfulness is essentially the power to attend and be present in the moment. The fact is we live in a fast-moving world – we’re all subconsciously exposed to thousands of distractions each day. Mindfulness allows us to bring focus, teaching us how to filter out those distractions and just ‘be’ in any moment. 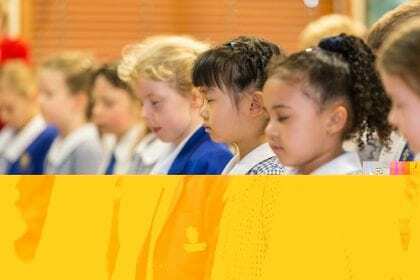 Far from being the new ‘buzz-word’, the benefits of mindfulness are nothing new to Ficino School. It has been included as an essential part of its primary school programme for over 20 years now. See Ficino School’s principal, Peter Crompton, on The Café where he appeared recently to discuss Mindfulness.